Pick Your Cherries and Eat Them Too! Now that sweet cherry season is officially here, these summertime rubies are a must-have for any barbecue or party, whether they’re baked in a pie, crushed into a cocktail, or eaten as a fresh out-of-hand snack. But first things first: What should someone look for when searching for the perfect cherry? 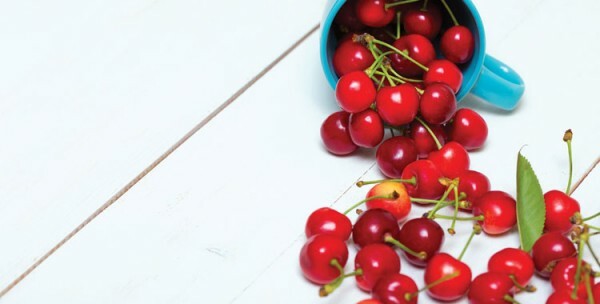 Cherry enthusiasts should keep an eye out for firm, shiny, and smooth skins. In general, the darker the cherry, the sweeter, and with most varieties darkness is a sign of ripeness. The stems should be green and flexible. Northwest cherries, in particular, are known for their extraordinarily sweet flavor, due to the area’s excellent growing conditions. There are a wide variety of sweet cherries, ranging up to the extra-sweet, yellow-fleshed Rainier cherries. Though so similar, they’re often sold as their collective “dark, sweet cherries,” the most common varieties include Bing, Sweetheart, Chelan, Lapins, Tieton, and Skeena. 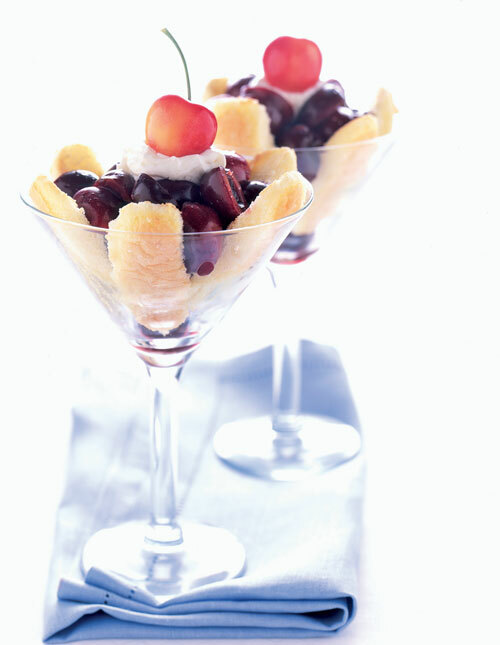 Mix halved cherries, liqueur, and sugar; marinate 1 hour or longer. Substitutions: Orange liqueur may be substituted for almond liqueur. may be substituted for lady fingers. Find this and other seasonal recipes at BusinessWomanPA.com/recipes.